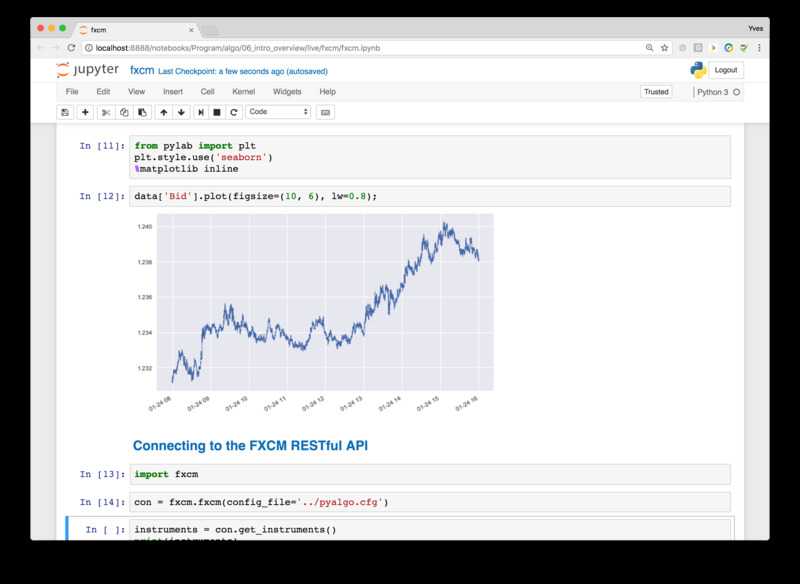 FXCM offers a modern REST API with algorithmic trading as its major use case. fxcmpy is a Python package that exposes all capabilities of the REST API via different Python classes. The classes allow for a convenient, Pythonic way of interacting with the REST API on a high level without needing to take care of the lower-level technical aspects. 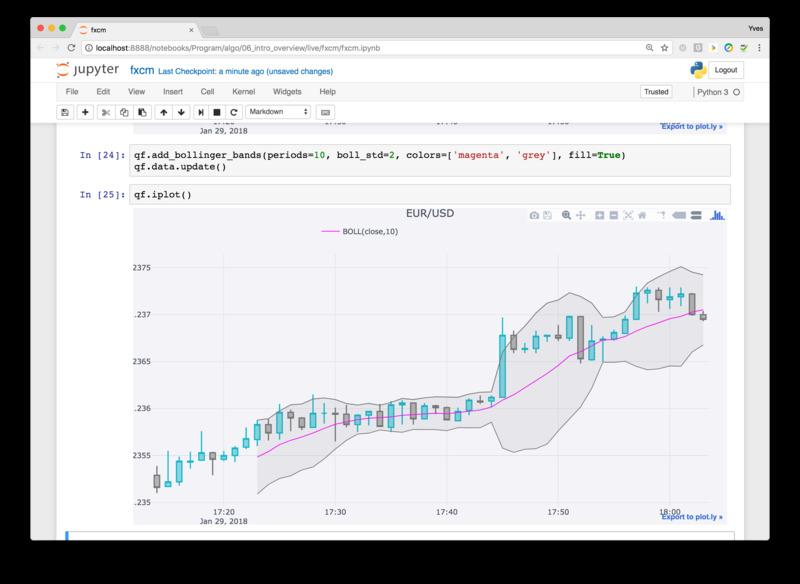 Traders, data scientists, quants and coders looking for forex and CFD python wrappers can now use fxcmpy in their algo trading strategies. Create your API Token by logging into our HTML5 Trading Station Web platform. IMPORTANT – Real Accounts Only – Generating a token does not grant your live trading account with API access. In order to successfully connect to the REST API you must e-mail api@fxcm.com requesting that access be granted. If you have questions, check out our Github or get in touch via api@fxcm.com.